Recently Melissa Johnson Voight, a lovely friend of mine who I met online in the Facebook group, Beyond the Pink Moon, posted 15 random facts about herself on Instagram. I thoroughly enjoyed learning more about her and thought, gosh, what a great idea for a blog post. Yeah, my mind is always recording and storing ideas for things to write about. Thank you for the fun idea, Melissa. So, in this post I am sharing 15 random things about yours truly, some of which you might know and some of which you might not. I am hoping that some of my blogging buddies will take up this “challenge” and join in. We want to learn more about you too! We are all about so much more than cancer. And of course, I never forget about my Dear Readers, so please share a few things about yourselves as well via a comment. I love getting to know you better too. Really, I do! 1. I have three siblings. I’ve been very quiet about them on the blog because that’s the way they like it. 2. I have literally hundreds of online friends, and yes, I do consider them genuine friends, but I have very few friends I actually regularly see/interact with in person. This works just fine for me. 3. Maybe related to #2, I’m an introvert, and I no longer apologize for it or strive to be something different. It took me awhile to embrace this attribute. Why do people so often think more highly of extroverts anyway? 4. My favorite junk foods are potato chips, chocolate chip cookies and ice cream and if proper nutrition and calories were not a concern, I would eat all three of these things every single day. And preferably all at the same time. Oops, maybe I shouldn’t admit that. 5. Some TV shows I try to watch are: Downton Abbey, Game of Thrones, Mad Men, Scandal, Sherlock, True Detective, Bill Maher and Homeland. These are not listed in any order of preference; because again, this post is all about randomness. 6. I hate to exercise. Hate it! This does not mean I don’t do it. My favorite form is walking with my dogs. And Dear Hubby of course. 7. I am a total homebody. I don’t go out much, and I don’t want to unless I am going to a movie or out to dinner. Best kind of evening for me is staying home with Dear Hubby and watching Netflix, and if it’s chilly out, doing so while sitting close to a nice cozy fire. And again, if proper nutrition and calories didn’t matter, doing this while enjoying plenty of Chinese takeout as well. Followed up with ice cream. 8. I will never be done with cancer and grief and guess what? I don’t even want to be done (post on that coming at some point). 9. I can’t swim, and I am envious of those who can, like Dear Daughter who swam competitively all through high school. 10. I try hard to keep politics out of the blog, but I am a Democrat and proud of it! 11. I don’t Skype, but I have an account, so go figure… This may or may not be related to #2, but mostly it’s because I hate cameras of any sort and even more so since cancer. 12. Writing feeds my soul and when someone reads what I write and tells me it made a difference to her/him, it’s like giving my soul extra nourishment. 13. I hate domestic chores like cleaning and grocery shopping, but I don’t mind doing laundry (I told you these were random). 14. It pisses me off when teachers do not get the respect (and pay) they deserve. We need to give more than lip service support to the value of education and to those who do the educating. 15. I am hoping to get my next book published very soon (more on this to come). 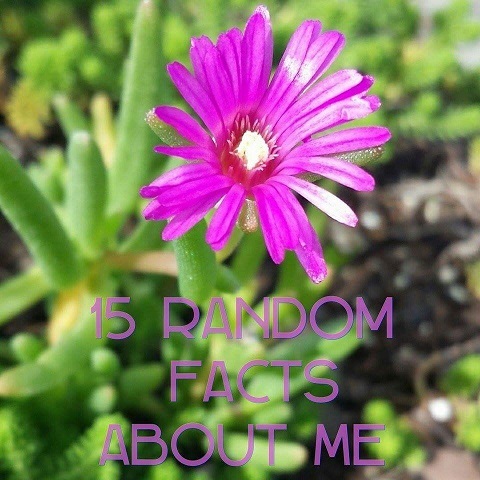 So there you haved it, fifteen random facts about me. This post was super fun to write. Thank you for reading it! Now, it’s your turn to share! If you’re a blogger (with any focus, not just cancer) and do decide to join in this blog challenge, feel free to come back and share your post link. Or just share a couple of things right here, right now. Or do both! What are a few random things many people don’t know about you? What’s your favorite junk food or TV show? Nancy, what a fun idea!! Someone recently nominated me for the “versatile blogger award” and I had to write some facts about myself. I never did because I was focused on my Layla and another post I was working on. I would like to do this challenge. You and I have some things in common, by the way. I can relate to 8 of your facts. It’s nice to learn more about you, Nancy. Thank you for sharing facts about yourself and for giving us such a great and fun idea to learn more about each other. And yes, we are more than just cancer. Rebecca, Totally understandable why you never wrote that post. Maybe you’ll have time to participate in this challenge. I hope so. Now you have me curious about which 8 you relate to. Thanks for sharing a couple of things many don’t know about you. And I’d just say, why not write about some of those dreams if you want to? Thanks for sharing. You’re always so wonderful about reading and sharing. Thank you. I am planning to participate in this challenge. I enjoy your posts, thank you! Rebecca, Thank you for sharing which ones you relate most to. Dreams are fascinating, so I say go ahead and write about them once in a while if and when you feel like it. I enjoy your posts too. Look forward to reading more of them. This is great, Nancy! Just a few things about me, I’ll work on a blog post soon! 1. I am rabidly passionate about the healthcare system being service-oriented, NOT a factory, that’s why I left traditional hospital nursing and started my own business. I’m with you Nancy, on the teacher pay. I think health care workers, emergency response personnel, teachers, police, firefighters, child care workers, and all the human services workers who do the work in the trenches need to be compensated for the real value of their work to society. 3. My favorite junk food is ice cream sandwich. It has to be really frozen with the cookies still crunchy, not soggy! 4. I have more blogs than I can keep track of on one hand. I can’t keep up with all of them! Alene, I can’t wait to read your post. Thanks for sharing a couple things right here too. And I can’t keep up with all the blogs I’d like to either. What a great idea! Here are some random facts about me. I enjoyed reading yours. I may or may not blog about this, but it is a unique and fun topic. 1. I have always been scared of needles, so getting cancer three times was the ultimate irony. 2. I have cousins living all over the United States and love cousin reunions, whether on the east or west coast. I hope you get lots of comments from your readers so you can learn more about them. Jan, Thank you for reading and sharing those two things. And yes, needles… I hope I get lots of comments too. Thank you for yours! Nancy, I LOVED this post! What a fantastic idea that Melissa had on Instagram and you started on your blog, so fantastic, in fact, that I’m going to write my post this week on the same topic. Let’s keep the Random Facts About Me going! Even though I will be writing about me in the next post, I will share a few things here. One of them is how similar you and I are. I am also an introvert and a homebody. I ashamedly love too many junk foods to list them all, but among my favorites are chocolate and potato chips. I will never, ever be done with cancer. Writing is soothing to me; I love making a difference in others’ lives through the written word and in person if fitting. And I adore, love, and admire animals. Beth, I guess we have even more in common than I thought! And don’t worry about all those junk food favorites, I have many more than I listed too, one of which is definitely chocolate; but then isn’t dark choc good for us? ha. Thank you for sharing some things about yourself here and I look forward to reading your post. Thank you for participating. 1. My maiden name is Stoughton, I am a descendent of the 17th-century Stoughtons who came to Massachusetts from England. My ancestors include a judge on the Salem witch trials and the first governor of Massachusetts. 2. There are towns named Stoughton in Wisconsin and Manitoba, Canada. 3. I played oboe for about four months. My Dad thanked me when I quit. 4. I am mathematically challenged. While I was in Honors classes for everything else, I was in remedial math. 5. I am an only child, my parents adopted me at birth. But I came into a family that has many wonderful step-siblings. 6. I was a Girl Scout camp counselor. 7. I got a varsity letter in marching band. 8. I had oral facial reconstruction surgery my senior year in high school, my jaws were wired shut for 8 weeks, I got them unwired just before senior prom. 9. I can’t drive a stick shift. 10. I thought seriously about becoming a chef. 11. I have had 16 surgeries in 12 years. And that doesn’t include cancer. 12. I can use a manual snow blower. Hey – I grew up in the Snow Capitol of the country! 13. I am extremely introverted. I really was a geek in high school. 14. I can’t speak a foreign language, but I took 5 years of Latin. 15. I love gardening. But I’m not very good at it. 16. I love wine. A lot. 17. I’m a closet Goth. I should think about this for a blog post. Writing is cathartic to me and I hope that my words will give hope, comfort and inspiration to some and maybe a good laugh. Stacey, Thank you for sharing your list here with us. You sound like a very fascinating person! Be sure to come back and leave a link to your post if you should decide to write one on your blog. If you choose to do either of course. Such fun to read these random facts Nancy. I love having a glimpse into our other lives – the lives we live where cancer doesn’t dominate. Marie, I love getting that glimpse too. It’s so fun to learn more about everybody. Such interesting people we meet online. Thanks again for joining in. PS I just discovered several things we have in common… junk food vice 😉 hating housework and not being able to swim. Marie, It’s nice to make these little discoveries isn’t it? Loved reading your list. Thank you for participating in and sharing about this little challenge. CC, I’m glad you liked this idea. Thanks again, Melissa. It is great fun to discover things we have in common. After all, we are all about so much more than cancer. Thank you for participating and for sharing your link here. Loved reading your list. Nancy, it was fun learning more about you. This is a great idea. I think I too will join in the fun with my own 15 things. Eileen, I’m glad to hear you liked this idea and that you will be joining in. The more the merrier, right? What a fun idea for a post! I enjoyed it so much, and am happy to learn more about you. I look forward to reading more about my online friends who will be encouraged by your post to share their 15 facts. pinkunderbelly, I am thoroughly enjoying reading the posts and comments that others are sharing too. I hope you decide to join in too. Hey Nancy, this is a great prompt, I’ve been neglecting my blog of late and needed a push to write. Renn, Well, how nice to learn we have those things in common. And I’m glad to give you that little push then because I always love reading your posts. Please come back and share your link if you’d like to. Renn, Well that is wonderful! Thank you for participating and for sharing your link too. I look forward to reading your post soon. I loved reading your random facts, Nancy. I’m working on my list, which I’ll post soon. I don’t Skype either, keep thinking maybe I should start but don’t even have an account yet. I pretty much hate all types of housework, but don’t mind yard work at all. Lisa, I sort of want to Skype, but then there is that whole camera thing… I used to not mind yard work, but since cancer I can’t keep up with mine and so I’ve come to not enjoy it as much anymore. And housework, well, I never liked that. Thank you for reading. I look forward to reading your list. Pat, Thank you for sharing your list. I’m sorry about your dad and of course, you still miss him. And yes, thank goodness for Netflix! Great exercise Nancy. Thanks for asking us to think about this. Here is my off the cuff list. 1. I don’t like “down” escalators. 2. I have always hummed when I’m content. 3. I taught downhill skiing. 4. I read mostly by audio book and when I do I do chores such as house cleaning. 5. I’m happy with my own company. 6. My ancestors founded the state of CT.
8. I have a personal trainer and just love my sessions with him but generally hate to exercise. 9. I love to move/dance to music. 10. I’m sad that as I get older I can no longer ski or play tennis but happy that I can now play golf. 12. I fell in awe and love with penguins in Antarctica. 13. I’m sad that I never had any children, but I’m grateful that I have 14 grandnieces and nephews that I can help. 14. I never had the gap between my two front teeth fixed. 15. For someone who never had time to cook I’m learning how much fun it is. Betty, Thank you for sharing your list with us. It’s quite varied which is part of the reason this exercise is so fun. Everyone sounds so interesting. And I know what you mean – this sort of list could go on and on. Mandi, Awesome! Thank you for participating! ButDoctorIHatePink, I am not clever at all. This idea came from my friend Melissa. I had a lot of fun writing my list, but it’s been even more fun reading everyone else’s lists. So yes, please join in. Hope it does help you break through! Come back and share your link here if you want to. Or on my FB page. Thanks, Ann. Elisabeth, Wonderful. Thank you for taking part in the challenge and for sharing your post. Lots of surprises in there. Jenny, Thanks for participating. Loved your list! And do let me know about the dark circles thing…lol! Carolyn, So glad you joined in on this blogging challenge. Thank you. It’s been great fun to read everyone’s list, including yours. Thank you for sharing your link too. 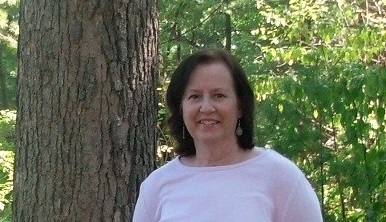 My challenge is published at http:/breastcancercoping.wordpress.com/ Thanks Nancy for this new challenge! 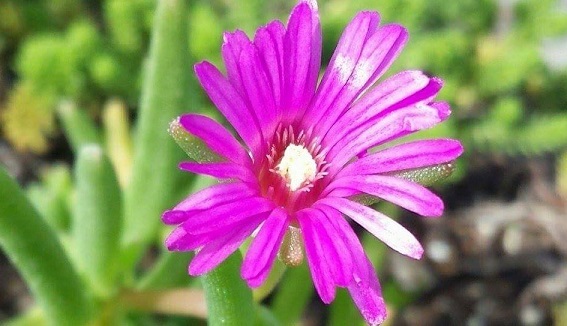 Karen, Thanks for joining in and for sharing your link too!